According to the ATO, as at 30 June 2018, over 15.6 million Australians had a super fund account. Approximately 39% of these people have more than one super account. Those with multiple superannuation accounts will usually have accounts with only a small balance. Generally, the consolidation of multiple superannuation accounts is recommended to avoid administration costs and, as the Government plans to automatically transfer inactive small balance funds to the ATO, it would be wise to consolidate. 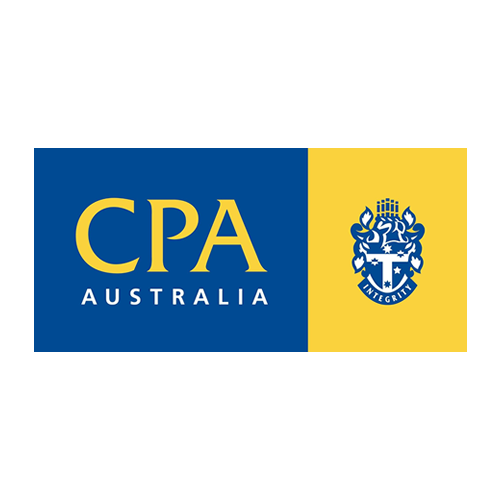 Those of you who do have multiple superannuation accounts with small balances should also review these to ensure that any insurance component is not lost in this broad brush approach by the ATO! The insurance may not be replaceable. The 100% small business instant asset write off for assets purchased for less than $20,000 continues to be available for the 2018/2019 year and second hand assets acquired are eligible too. They must be ready for use in a business on or before 30 June 2019. Legislation has recently been introduced to increase the small business instant asset write off for purchases of less than $25,000. From budget night, this has increased to less than $30,000. Plus, there has been another time extension to the small business instant asset write off to 30 June 2020! Not sure if your asset purchase qualifies? CONTACT US TODAY at BSN & Co to discuss your potential small business instant asset write off. The Government has announced a one-off, 12 month superannuation guarantee amnesty for employers whose superannuation obligations have not been met or whose payments have been late; the relevant legislation has not yet been enacted but will be retrospective when it is. The superannuation guarantee amnesty will be available during the period 24 May 2018 to 23 May 2019 for missed or late superannuation guarantee payments for employees and the amnesty will apply to any shortfall from 1 July 1992 when SGC was first introduced, to the quarter ended 31 March 2018! This is a real opportunity for delinquent employers to wipe the slate clean, catch up with employee superannuation and receive a tax deduction not normally available for missed/late payments (provided the payments are made in the amnesty period). The employer must, during the amnesty period, disclose any non, late or short payments of employee superannuation. In addition to a tax deduction for any shortfall or late superannuation payments made during the amnesty period, the administration penalty of $20/employee/quarter will not be applied, nor will any Part 7 penalties, which could have been up to 200% of the SGC – i.e. the unpaid or late superannuation. Assuming the legislation is enacted, delinquent employers must take advantage of this offer. The SGC landscape is changing and, with the ATO having more audit resources, single touch payroll being introduced, and new superannuation fund monthly reporting obligations, this will collectively stamp out the delinquent employers! Claims for private motor vehicle use for employment or business purposes have changed! These days there are only two methods available for employees, sole traders, contractors and partners to claim for private motor vehicle use for employment/business – the log book method or the cents/kilometre method. Each method has its advantages and disadvantages but where there is significant employment and/or business use, the log book method will maximise your claim! Most of us have an aversion to maintenance of log books, however the recording of employment/business trips (other than home to work, work to home) for just a twelve week period will provide a log book valid for five years! Further, the log book will establish an employment/business use % which may then be applied to all vehicle expenses such as depreciation, fuel, repairs and maintenance, loan interest, registration and insurance. The cents/kilometre method of claim is limited to a maximum 5,000 kilometres per annum even though more kilometres may be travelled for employment/business purposes. This is known as the “reasonable estimate” method because that’s all you’ll need to substantiate the claim – a reasonable estimate! The number of kilometres will be multiplied by the set rate, presently 68c/kilometre for 2018/2019. Still unsure about private motor vehicle use for employment/business? CONTACT US TODAY at BSN & Co if you need help with your claim for private motor vehicle use for employment/business. Uniform, laundry claims are the latest to undergo a crackdown by the ATO and, in particular, taxpayers who automatically claim the threshold amount of $150 without proof. Expenditure above this threshold amount requires detailed records, whereas up to $150 no receipts or substantiation is required. The ATO believes taxpayers are claiming the $150 as an “entitlement” or “standard” claim simply because no invoices/receipts are required; however, the taxpayer nevertheless must still be able to demonstrate that the uniform, laundry claim expense has actually been incurred. That is, there is a relevant or appropriate basis for the claim. You are entitled to claim for the purchase of a compulsory strictly enforced work uniform (or a non-compulsory uniform only if the employer has registered same) provided that the uniform is distinctive – e.g. employer’s logo, name is permanently attached and/or displayed thereon, and which clearly identifies you as an employee of the organisation. Generally, plain, ordinary or conventional clothing – e.g. black trousers, white shirts – will not be deductible. You are entitled to claim for the purchase of occupation specific clothing – e.g. chef’s checked pants, nurse’s uniform etc. Of course, should your employer provide, or reimburse you, then no deduction is available! You are entitled to claim for costs incurred in the repair and cleaning of the above such clothing and equipment. Laundry expenses may be claimed on a “reasonable basis”, but note the ATO specifies where you undertake the washing, drying, ironing yourself, the ATO nominates $1 / washing machine load as “reasonable”! CONTACT US TODAY at BSN & Co for any queries regarding uniform, laundry claims.